Dolls House Kits and furniture by Real Good Toy and Greenleaf. Beautiful Porcelain Dolls from Brides to Baby Dolls. Childrens Costumes. Dollhouse accessories in easy-to-assemble DIY kit format. See how easy by viewing the photo tutorials on the website. Join the free Paper Minis Club and receive the complimentary newsletters and monthly top quality projects. That's a great way to be introduced to these unique and beautiful Paper Minis Cut 'n Glue kits. Quality Dolls house dolls, working miniature Grandfather clocks, high quality dolls house furniture, dolls house miniatures and dolls house dolls clothes, all designed by Heidi Ott in Switzerland. Please feel free to link to our site. 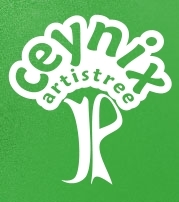 In your link to us please label us 'Ceynix Miniature Trees' and give a brief description of our site.